Under bright blue skies, wedding bells ring—fulfilling sweet dreams, impossible wishes, and joyous new beginnings . . .Buy this novella collection for only 99p today. The Reluctant Groom by Jennifer Beckstrand: Spirited Suvie Newswenger has three marriage proposals—but not from the man she truly loves. 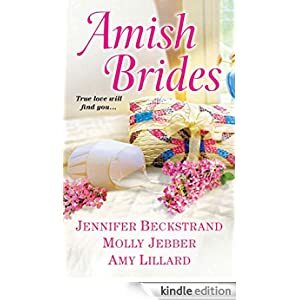 Joshua’s Bride by Molly Jebber: Madeline Lehman fears her fiancé’s family will never accept her because of her rebellious sister. A Summer Wedding in Paradise by Amy Lillard: Reba Schmucker longs to be a bride. And she knows her mischievous nieces just wanted to help when they “chose” Abel Weaver for her.